“An event you’re interested in is coming up this week” Facebook told me one morning, as I did the obligatory phone check of ‘very important things I may have missed out on during the middle of the night’. “Count me in” was my silent response as I clicked on ‘going’ to add Narberth Natural Health Centre Open Day to my social diary. I stumbled across this event a couple of weeks back and as someone increasingly interested in natural health and healing, it was an ideal opportunity to meet the practitioners and learn more about the therapies available. I’d already scanned the itinerary and booked in for a few talks, so an early dart armed with my yoga kit and a short walk through town onto Market Street, saw me arrive just in time to say a quick hi and find the first talk of the day; Clinical Somatics (yep, I had to Google it too). Darren Gibbs hosted the talk, a softly spoken, clearly knowledgeable guy who runs Active Somatics. Darren introduced and explained the concept. In a nutshell, Clinical Somatic Education retrains the way our brain controls the muscles and their coordination, enabling us to move freely without pain. It is a series of gentle, self-directed movements that challenges tension built up over time (what our brains sees as ‘normal’) and restores full muscle function by changing the signal from the brain. After a short demo using me as the guinea pig and witnessing my own arm open up from an initial pain threshold (approx. 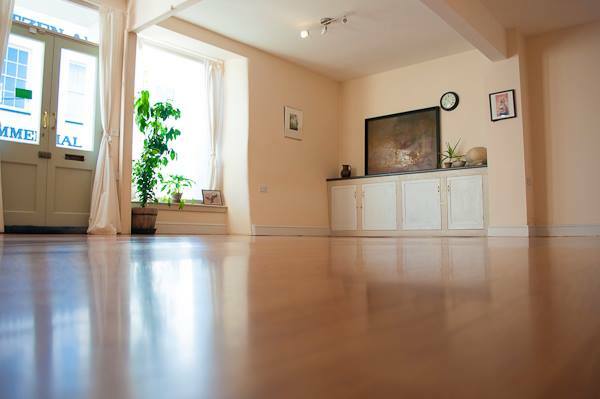 60 degrees off the floor) to lying flat on the floor, it was clear that this was a very effective therapy. A consultation with Darren would definitely help relieve the aches and pains so many of us tend to ‘put up with’, some of which can be debilitating. Somatics was a revelation for me and confirms my own beliefs that many cases of muscle or joint pain CAN be overcome before resorting to injections or potentially surgery. Next was an overview of systematic kinesiology with Tanya Peterson, a relaxed, contented professional who uses the theory of muscle testing as a means of communication with the body. Tanya used the analogy of a house with multiple rooms to explain the process of diagnosis and treatment. In order for the house (body) to be in full working order, all the lights (emotional, structural and nutritional) need to be on. If one of these lights goes out, it is important to identify which one it is and to fix (strengthen and heal) that light to get the house back in order (balanced health and wellbeing). 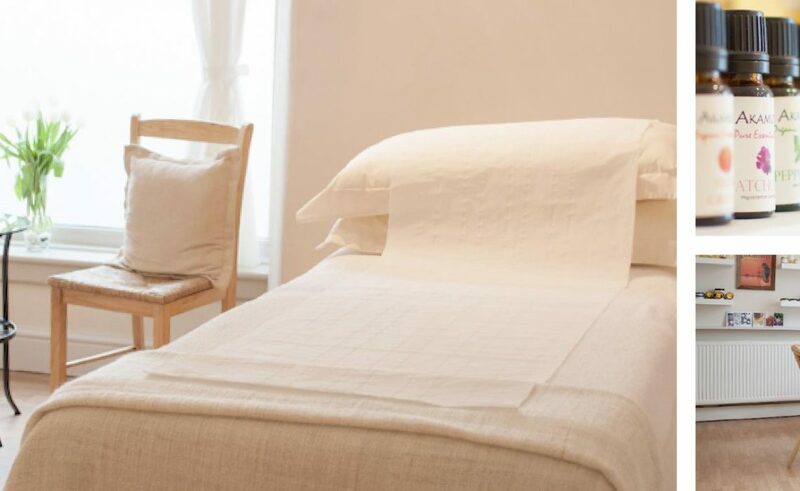 To do this, the right energy sources (massage, emotional release techniques, energy reflexes, natural supplements, dietary advice) need to flow into the house. Are you still with me?! More guinea pig demos proved how we can improve our focus using some of these techniques and Tanya explained how they can be especially useful to support children at school, where concentration and focus is vital to enable them to progress academically. In Talk 3, I met yoga therapist Meni Farkash. Meni explained that yoga was always intended as therapy with an integrated mind-body approach, a new perspective to challenge the Westernised perception, that yoga is purely about creating complicated knot-like postures in large group classes. Meni’s analogy of yoga therapy was to imagine a Screwfix brochure (random?! )…a collection of specialist tools (knowledge), separated into categories (physical exercise, breathing & relaxation techniques and bodywork), from which certain tools are selected, depending on the needs of the project (the individual). Got it? Well it worked for those in the room. Intrigued, I booked myself in for a taster later that afternoon and gained valuable advice on how to manage my neck and shoulder tension at work, using Meni’s Serpent Power exercise technique (below). It was also him that suggested I try replacing my chair with a gym ball to keep my core strong and agile rather than static. Sounds such a simple idea, yet one I’d never thought about trialling, until now. It really was one of those lightbulb moments. After a quick herbal tea break in the scrumptious Plum Vanilla, I joined ‘yoga for backache’ with Lisa Taylor. A smiley and attentive lady who kindly spent time showing me and the other students some very effective exercises and relaxation postures, to manage back pain on an ongoing basis. I was aware of some of the moves from my time doing pilates and I was excited that with these additional techniques, I could attempt to self-manage by back from home. If I lived slightly nearer to Lisa’s weekly classes, I would have loved to join as she has such a lovely way of teaching. Instead, I will tell those who do live near all about her. Amidst all these talks and tasters, I chatted to Leona Ralph, The Pembrokeshire Herbalist who cheerily manned her stall all day. She showed a genuine a passion for sharing her knowledge with those that wanted to hear more. Leona is a medical herbalist and what she doesn’t know about the health benefits of plants is probably irrelevant anyway. Her focus is working with individuals to understand the root of the cause of specific health symptoms, and to help change their health for the better through the use of natural herbs. 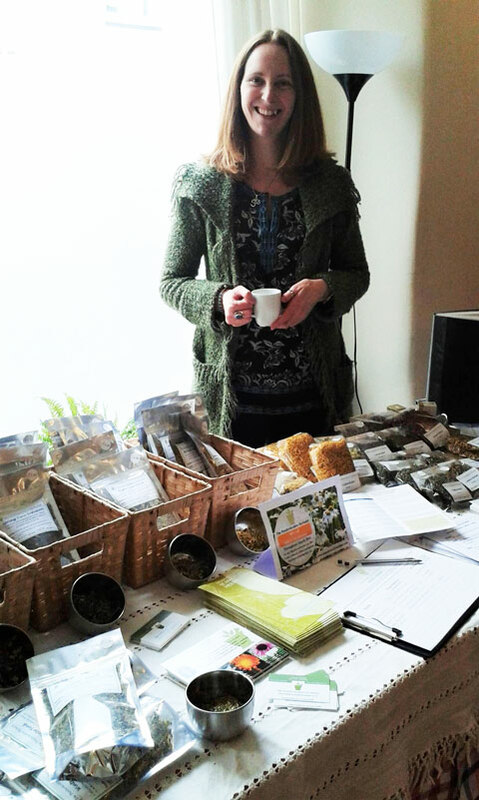 Her stall was a colourful array of beautifully packaged fresh and dried herbs, accompanied by info and advice on their benefits, including details on how they should be bought, digested and stored. I was particularly interested in her new range of hand blended herbal teas and took the ‘Night Time’ blend home to try just before bedtime; ‘A delicious mix of dried botanicals: passionflower, linden flower, lavender & oatstraw’. A perfect ‘wind-down’ to wrap up a day of phone calls, admin and screen eyes. Leona gave me some advice on buying the best brands if going for off-the-shelf herbal tea. It’s also worth mentioning that after consultation with her to understand your unique make up, Leona can design bespoke herbal treatment in the form of tinctures, teas, tablets, creams etc. proving even more effective than a one-fits-all solution. Bursting with more questions and new ideas, I realised I still had people to meet. I’d spoken with Lee Sanger who was running Qigong and Shiatsu tasters. I briefly chatted with Amber Rich, a women’s wellness coach, nutrition and lifestyle coach, pilates instructor and promoter of ‘good eating’ programme Kick Start Fat Loss (her sugar/gluten free flapjacks were yummy). I had a lovely chat with Bethan Morgan, founder and manager of the Natural Health Centre and resident acupuncturist – and finally, happened to meet her dad, Mick Morgan who clearly shared my passion for work-life balance having practised as a potter most of his life. I’d like this to be the first of many visits to see these guys and I’m sure we will have reason to use their Narberth space as a venue when our Life Seeker experiences are up and running. What a fabulous day – thanks all for an uplifting and inspiring introduction to leading a more natural, happier and healthier life.